It’s that time again, time for the inevitable turn-of-the-year vows to eat smarter, exercise more and be nicer to friends and family. One in a hundred may actually keep those commitments and become healthier, better people in the process. Others may focus on becoming financially healthier, promising themselves they will look harder for the best credit cards, or the best savings accounts available to them. But here’s one line item not enough folks are including on their list of resolutions: making a long-term financial plan. According to a recent study, 84 percent of respondents indicated they had no intention of including financial planning in their 2014 resolutions. That’s a woeful 16 percent, and it looks even more pitiful next to the one-third of respondents in the survey’s first year, 2009. If they’re not crafting plans in the dozen months ahead, why not? Well, a portion of those folks already have financial plans, and they deserve a hearty round of applause. But among those who said they wouldn’t be creating a financial plan and apparently don’t already have one, almost a third reported they believed they don’t earn enough money to justify penning such a document. 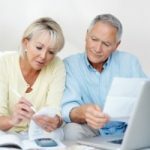 Many others may feel a plan is not as important now that they have adopted better money management habits than they displayed a few years back. 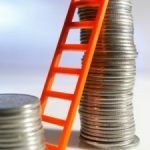 But does progress in saving money or reducing debts mean a plan’s not necessary? No, say experts. 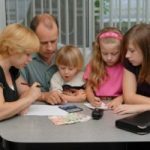 Even though it’s great that many Americans are becoming more disciplined with their money, discipline alone won’t take them nearly as far as having a sound financial plan directing how that money will be used. Would you head out your driveway on a family driving vacation to an as-yet-unvisited spot without any kind of road atlas? Would you prepare a complex new dish without benefit of a recipe? Would you tackle a tough assignment without gaining a little direction first? Those are all accepted means of getting started on an endeavor. 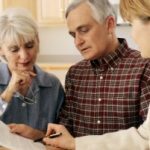 But somehow, many people expect to fund retirements, pay for college, gather an emergency reserve and more without financial plans. According to a recent article in Forbes, comprehensive financial plans aren’t just for the richest Americans, they’re for all Americans. In fact, financial plans are one way of moving from everyman, working stiff status to the moneyed classes. As well, the creation of a financial plan isn’t only for older, more established folks. People in their 20s or even younger should create financial plans to ensure they make smart financial decisions throughout their working lives, and continue to make the most of their earnings and savings right up to and through retirement. 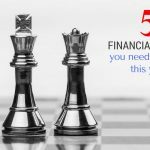 As the Forbes article noted, the sooner you know the goals you want to reach, the more targeted, and therefore beneficial, your financial plan can be. Financial plans can help you zero in on your financial objectives, determine whether those objectives are attainable within the desired time period, assist you in analyzing your spending to maximize your cash flow, force you to identify where you are making personal finance errors, enable you to track your progress from year to year in saving or reducing debt, show you places to maximize your income that you may not be recognizing, help you understand where you may be taking on more risk than you desire and enable you to feel more confident and in control of your finances. The likely result of all these benefits will be greater financial resources and a substantially higher quality of life. While many adults will again fail to formulate a financial plan this year, the same cannot be said for a growing number of high school junior and senior year students taking part in a groundbreaking Pittsburgh personal finance program. Created by Junior Achievement, the CFA Society of Pittsburgh and Gene Natali, Jr., co-author of The Missing Semester, a personal finance book for teens, the program requires students to craft five-year financial plans for themselves. The plans must address their preferred career choices, identify the college programs they believe will prepare them for those careers, and delineate how they anticipate funding their educations through savings, student loans, scholarships and other means. The goal is to catch most of the students before they choose a college, because the choice of a college can have a dramatic impact on their personal finances going forward. To ensure they get solid feedback, the students’ financial plans will be reviewed by University of Pittsburgh and Duquesne University business students. One of the University of Pittsburgh professors whose students will critique the plans requires students in some of his classes to create their own financial plans, and bases a portion of their grades on the quality of those plans. The benefit, he says, is getting students to focus early upon a skill many never master. What a concept. If more schools got students involved in making financial plans at very young ages, we might start turning out generations of people actually equipped to deal with money choices after they leave the halls of academe — people no longer planning to fail because they’d failed to plan. My success has come as a direct result of planning. In the past I’ve approached projects in a haphazard way and achieved nothing and wasted time. I spend most of my time planning which is helping me progress faster. Great post, thanks for sharing. Great work by the University helping to prepare students for life after college! And, these same students will be the ones providing feedback on the high school financial plans.